It is an excellent project that highlights serious and increasing cases of state oppression against academics across the globe. “Teachers are entitled to full freedom in research and in the publication of the results”. The objection here is based on the idea that governmental mandates infringe upon an academic’s ‘full freedom’ in publication. 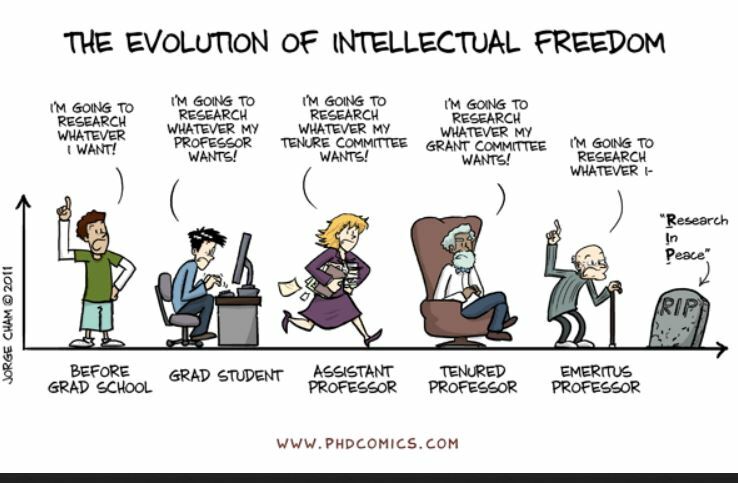 As a condition of receipt of state funding, mandates require academics to make their research freely available to the public, thus impinging on their freedom not to do so. But this “full freedom […] in the publication of the results” is a slippery argument. There are many factors that already limit my full freedom to choose to publish in a selected venue. For instance, if an editor at an academic press doesn’t think that my book will fit within their list, s/he may reject it on those grounds. Similarly, if a press doesn’t think that there is a market for a book, it may be rejected outright. Does this curtail my academic freedom? What about when peer reviewers reject an article on any grounds? This also limits my choice to publish in a specific venue, restricting my “full freedom” […] A core hypocrisy, in my view, is that researchers accept many limitations already on their full freedom to publish wheresoever they would like, but the second that a new limitation comes in – even one that could provide a massive public good in the dissemination of scholarship and research – we fall back upon cries of the violation of academic freedom. The point is not that anyone is seriously suggesting that academic freedom should entail the right to publish any old garbage with a prestigious press (for example), but that if your statement of principle permits this possibility then it is a bad statement of principle. You cannot appeal to a principle as the end of an argument if that same principle permits all kinds of other unfeasible situations. In fact, this is why appeals to principle (on open access, academic freedom, etc) are so fraught because ethics is a concept that requires responsible decision-making in specific situations, not blind submission to principles dreamt up by a handful of blokes in the 1940s. Principles come down to questions of who gets to decide, who is allowed to speak on behalf of others and why — and you only get to speak on behalf of other people if you can coerce them. If you do not like the idea of OA mandates, you need to make a case for why their consequences will be undesirable, rather than hiding behind some higher statement of principle. Objecting to open access mandates on the grounds of academic freedom is disingenuous conservatism and only trivialises the plights of those communities under attack for daring to protest against or question those in power. Such objections have no bearing on the debate about Plan S.
Plan S: is there another way?